The Tax Cuts and Jobs Act, signed into law by President Trump on December 22, 2017, has some significant impacts on estate planning beginning in 2018. Here’s what you need to know about those changes and how your estate planning may be affected by them. The new law did not eliminate the Federal estate tax, as many expected. But it did double the exemption, from $5.49 million for individuals and $10.98 million for married couples in 2017 to $11.2 million for individuals and $22.4 million for married couples in 2018. (Inflation adjustment included for 2018.) The tax rate for assets over this amount remains at 40%. The exemption for 2019, after adjusted for inflation, is $11.4 million for individuals and $22.8 million for married couples. It continues to be tied to inflation, so it will increase each year…until the end of 2025. If Congress does nothing before then, the estate tax exemption will return to the 2017 rates, adjusted for inflation. The GST tax applies to assets you leave that “skip” a generation. For example, if you leave assets directly to your grandchildren, bypassing their parents, you may have to pay a GST tax. It also applies to assets you leave to other individuals more than 37 1/2 years younger than you. The reason it exists is that Uncle Sam wants his share of taxes, just as if each generation had received its inheritance and paid the taxes on it. The GST tax is in addition to the Federal estate tax and is equal to the highest estate tax rate in effect at that time (currently 40%). The good news is that everyone has an exemption from the GST tax. The new law kept it the same as the Federal estate tax exemption. The GST exemption in 2018 was $11.2 million for individuals and $22.4 million for married couples. It, too, is adjusted annually for inflation. The exemption for 2019, after the inflation adjustment, is $11.4 million for individuals and $22.8 million for married couples. The GST exemption will return to the 2017 rates, adjusted for inflation, if Congress does not act by the end of 2025. Unrelated to the new tax law, the amount of annual tax-free gifts increased in 2018 from $14,000 to $15,000 and remains at $15,000 in 2019. Each year you can make as many tax-free gifts to as many recipients as you wish, as long as the amount does not exceed the limit set by Congress. If you are married, your spouse can join you. For example, with this increase, you and your spouse together could give $30,000 to each of your three children and five grandchildren—a total of $240,000 in tax-free gifts. You can also still give an unlimited amount for tuition and medical expenses if you make the gift directly to the educational organization or health care provider. The new tax law also lowered personal income taxes and business corporate taxes. The capital gains tax stays the same (20% on assets held for more than 12 months.) Interest rates may start to rise if the economy continues to improve and the stock market stays strong. 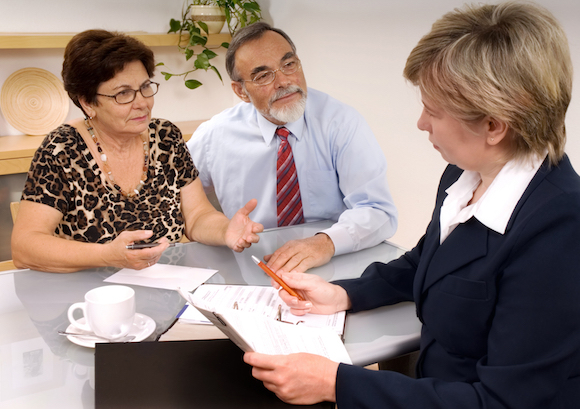 Many reliable, time-tested estate planning options, often rumored to be on the chopping block, are still available and untouched by the new legislation. These include stepped-up basis for transfers made at death, family limited partnerships, charitable trusts, grantor trusts, qualified personal residence trusts, dynasty trusts, discounted values and other methods frequently used in estate, business succession and asset protection planning. Your estate will not have to pay Federal estate taxes if its net value (assets minus debts) is less than the exempt amount in effect at the time you die. Estimates are that this dramatic increase in the Federal estate tax exemption rescues all but about 2,000 families from the dreaded Federal estate tax. So, for most families, this means you are free to plan your estate without having to jump through hoops to avoid estate taxes. But keep in mind that this increase is temporary; the exemption is set to revert to 2017 rates (adjusted for inflation) in 2026 if Congress does not act. Here are several reasons you will want to review your existing estate plan with your attorney—or finally make this the year to get your estate planning done. Your plan may have been set up so that an amount equal to the federal estate tax exemption goes to your children or grandchildren and the balance to your surviving spouse. With the increased exemption, this could cause a larger than intended amount to go to your children/grandchildren and a smaller than intended amount (or even zero) to your spouse. Some states have their own estate/ inheritance tax, often at a lower threshold, so your estate could be exempt from the Federal estate tax, but still have to pay a state tax. Your attorney can help you reduce or eliminate these taxes. Your attorney may also want to plan for a possible reduced exemption in 2026. Instead of estate tax planning, your attorney may want to concentrate on income tax planning for your assets. If your estate is larger, you will want to take advantage of the increased exemptions while we have them. If you have previously used your exemptions for transferring assets during your lifetime, you now have increased exemptions and can make additional tax-free transfers and gifts. If you are a business owner, make sure you have a business succession plan in place for your retirement, potential incapacity and eventual death. Increased appreciation on assets provide an excellent opportunity for charitable giving, if you are so inclined.